Despite record numbers of Americans demanding action to prevent gun violence, the NRA’s extremist allies continue to block every attempt to pass gun safety legislation. That’s why this election cycle, we will be fighting the NRA at the ballot box, where we'll work to elect a slate of gun sense champions to Capitol Hill, state legislatures, and town halls across the country. "Thoughts and prayers" aren't enough to honor the victims of mass shootings. What we need now is action. Lawmakers have had enough time to come around to common sense, and we are done waiting. We’re fighting every day for safer communities and a country that’s free from gun violence. We need your help to send responsible lawmakers to Washington! If our elected leaders won’t listen to us and stand up to the NRA, we need to elect leaders who will. It's time to elect leaders who share our view and will finally act to save lives from gun violence. It's time to elect gun sense candidates. 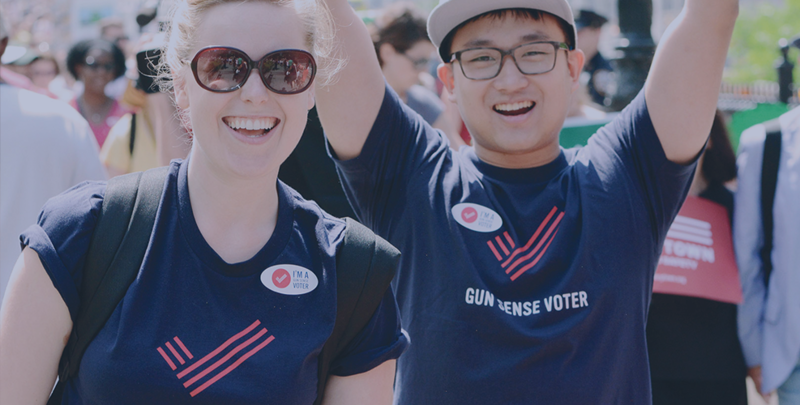 Commit to vote for gun safety in 2018!